Green Bulrush Grass For Sale - Low Prices Online Today. The Green Bulrush is an excellent choice if you want to add some nice contrast to any garden setting or landscape project. Green Bulrush - Scirpus Atrovirens. The Green Bulrush is a perennial plant that can be found in marshes, ponds, and wet grasslands. 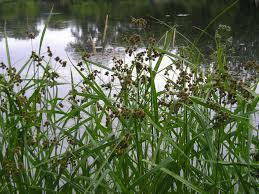 The Green Bulrush is unbranched and can grow between 2.5 to 4 feet in height. There are typically eight alternate leaves that line along the length of each culm. The leaves are yellow-green to dark green and are flat. Green Bulrush plants tend to form clusters from rhizomes and fibrous roots in the very moist soil. This plant thrives in the spring and autumn months when the temperature of the soil is cooler. It prefers full to partial sun and can adapt to various types of soil (just as long as it is in a moist habitat). 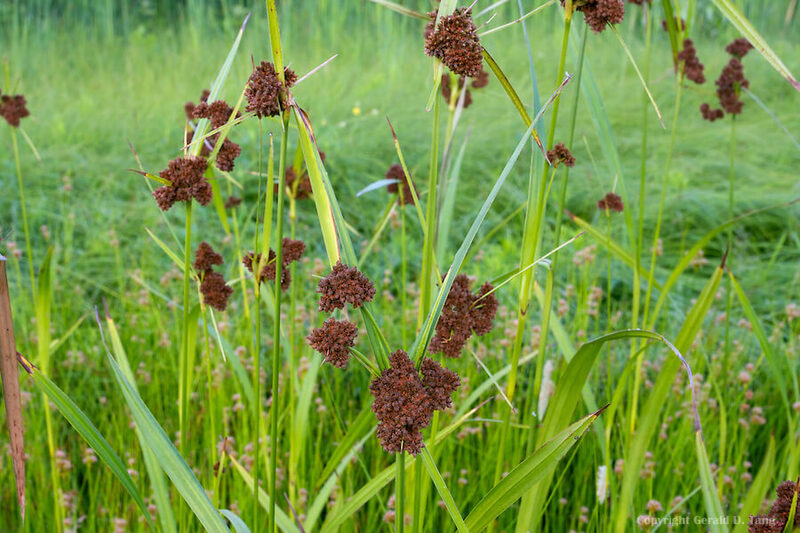 The Green Bulrush would be a perfect addition to a rain garden or a pond and has a long lifespan. Green Bulrush grows to be quite tall which makes it an excellent contrast to neighboring plants and grasses. The Green Bulrush is also called the Dark-Green Bulrush or the Scirpus Atrovirens. It grows quite well on its own and will blossom in May through June. Its sprouts can get up to 25 spikelets. It will develop blossoms that are yellowish green. It adds a vibrant hue to any garden setting and works well around water gardens. Green Bulrush is a unique plant which forms clumps when they are mature. It originates from some parts of the United States of America. It gains its clusters from fibrous roots that are always in wet soils. 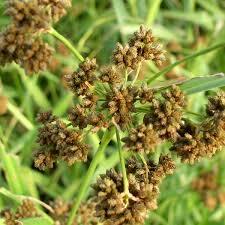 Native species of Green Bulrush plant are more than 200 in the market. These species are common in saturated soils with medium depth of water on the ground. In other words, Green Bulrush is a cool-season grass that grows when the soil temperatures are cold or during the spring season. Green Bulrush is also known as Dark-green Bulrush. Green Bulrush originates from the United States of America. It is abundant in Northern and western parts of America. Some other species of Bulrush are available in Florida. Species in Florida need disturbed water in the wetlands. Habitats of Green Bulrush are swamps, Cloughs, open floodplain forests, seeps, sedge meadows, moist prairies, along rivers and creeks.